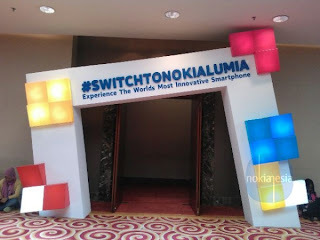 Located at The Hall Senayan City Mall Jakarta - Indonesia, The Brand new Nokia Lumia 920 & Nokia Lumia 820 are officially launched by Nokia Indonesia today on December 04, 2012. 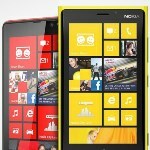 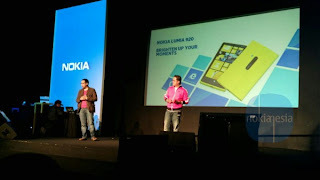 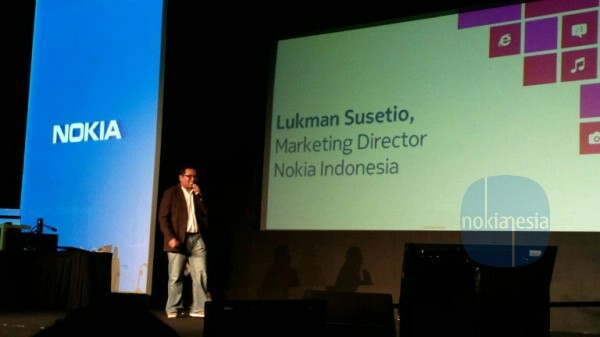 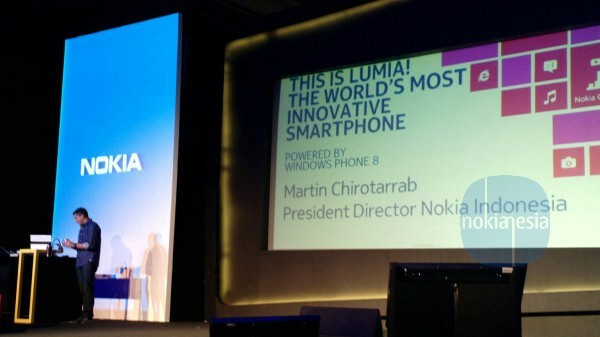 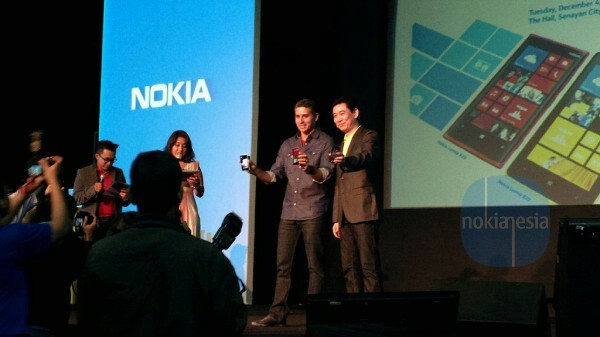 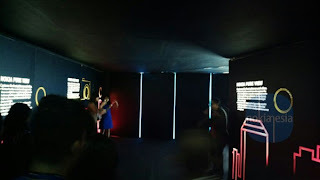 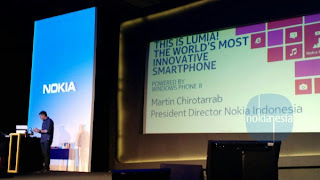 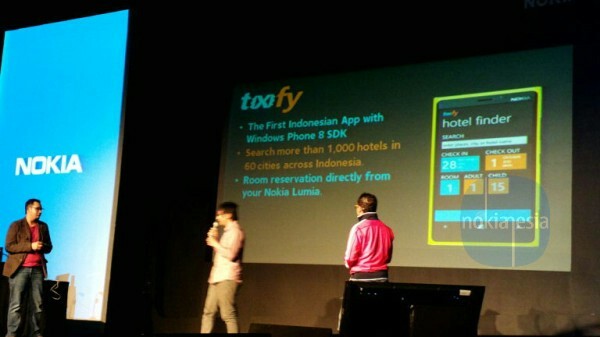 This colorful launch event is a sign that Nokia Lumia 920 & Nokia Lumia 820 are ready to "rock" the Indonesian market. This "after lunch event" is attended by local media, media partners, communities, Nokia developers and also the team from Nokia Indonesia and the president director of Microsoft Indonesia. 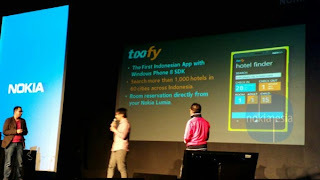 In this event, Nokia Indonesia & Microsoft Indonesia announced #LumiaAppsOlympiad, an event for developers to develop several application for Nokia Lumia Windows Phone. 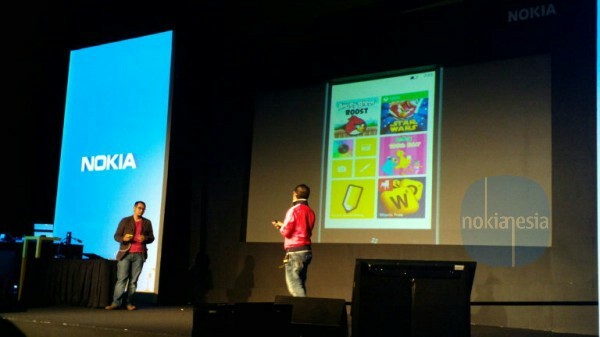 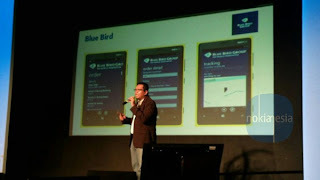 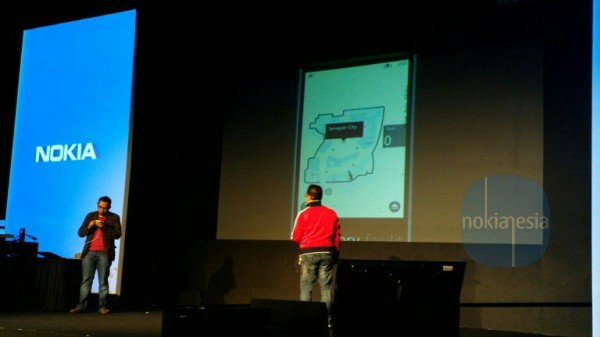 There are also several new local applications for Nokia Lumia Windows Phone that launched in this event, there are Blue Bird Taxi Mobile Reservation, Tixify - A local application for searching & booking hotels in Indonesia (powered by tiket.com) and also Garuda Indonesia Mobile Application. 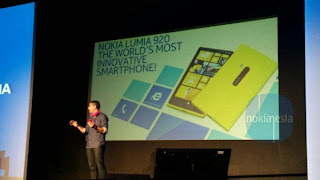 Nokia Lumia 920 & Nokia Lumia 820 are now available in Indonesia, The official price for Nokia Lumia 920 is IDR 6.499.000 and Nokia Lumia 820 is IDR 4.999.000.
if you want to buy feel free to make a pre-order and get special price & offers.